Braided cord tested with 5000+ bending lifespan and seamless reinforced joints to prevent interface broken from cable. USB IF connector: Has an USB IF compliant chip that is compatible with Android phones, tablets, PC Peripherals and more. Extra Tough, Extra Sleek: Braided with tough nylon material, our cables are durable and long lasting and the 10.5mm aluminum casing is not only super sleek but also stylish. 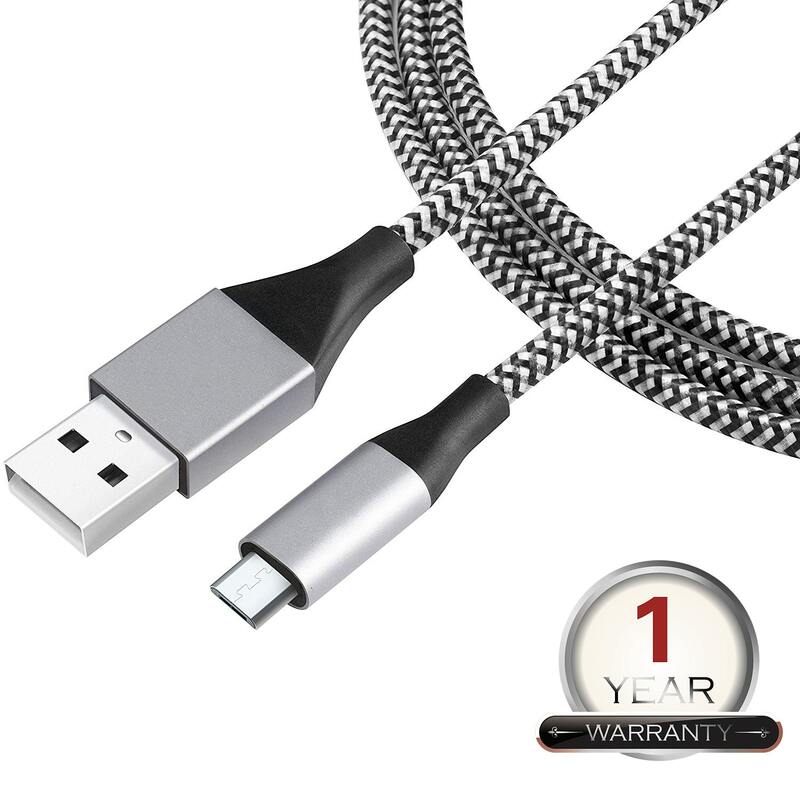 High Quality and Durable: Using high quality durable nylon braided the charger cable, have excellent heat-resistant and anti-knotted, also can protect the inner core. It will no damage or change in performance no matter how you bent them. The high end aluminum alloy interface can effectively prevent oxidation rust and the service life of the interface is three times the normal interface. Rapid Charge and Data Transmit: Our cables are made with , extra thick solid copper wire, which facilitates faster charge and data transmission and are AWG twisted to provide maximum signaling rate and anti-interference. LIRAMARK Warranty: We took immense care and used advanced technology to build a worry free product. But just in case you have an issue, this product comes with an one year limited manufacturer warranty and amazing customer service.